Released on Monday 6th April 2015. Triumvirate are back! 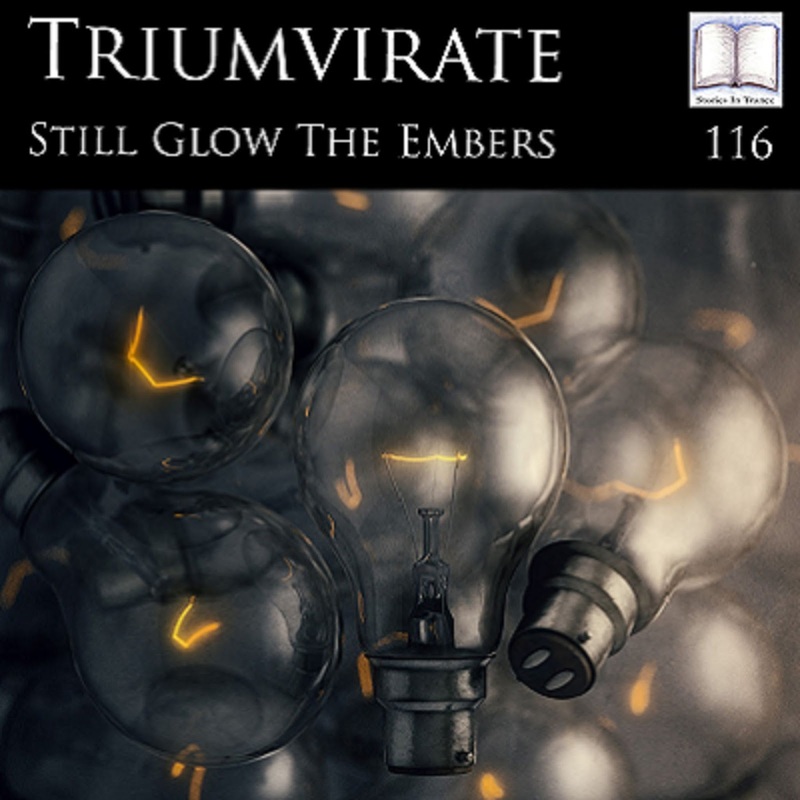 Stories In Trance are delighted to give you SIT 116 with the three track single Still Glow The Embers. Fresh from the huge release of Nostalgic Echo (SIT 108) Triumvirate return with the 'Keepers Of The Fire' mix of Still Glow The Embers. With somewhere near 80 studio hours invested in this production no stone has been left unturned with this truly special track. Every element has been expertly crafted, polished and engineered with the upmost care and attention. This track has a grand feel right from the start, powerful, energetic and emotional, this track has it all. Every single second of this piece of music is vital to the overall dynamic, no time wasted, every moment captivating. Rich, deep low end power provides the underpinnings which are complimented by sweeping saws and arps, a stunning piano layer, and aggressive, ever evolving percussion provides the garnish and it is all beautifully complimented by the emotive vocals. No sample packs or stems, every part of this track has been created from scratch. This is for everyone who truly loves all that is great about trance. The first remix comes from Germany's Matt Mancid. On the back of his stellar remix of Igor Stroom's Yushanly (SIT 109) Matt is on remix duties again with another superb offering. He takes the track down a more progressive path, using all of the original's fantastic components and musical elements to brilliant effect. This offers a great alternative to the original and once again adds to Matt's ever growing reputation as a top class producer. The third part of this release comes from Russia's Konstantin Svilev. Konstantin made his debut with us at the start of 2013 and since then has played a big part on SIT with several fine tracks and remixes: most recently his remix of Thunderwolf's REborn (SIT 111). He is at his very best again with this energetic and ever developing remix. Musically he remains quite close to the original not only in composition but in style, delivering an uplifting stormer. As always he adds his now trademark production flair to the piece and does so in fine style. By his own admission this is one of Konstantin's very best productions, something very special indeed.